We are now witnessing an unprecedented rise in the popularity of veganism, with more than half of Americans seeking to enrich their diets with plant-based meals. 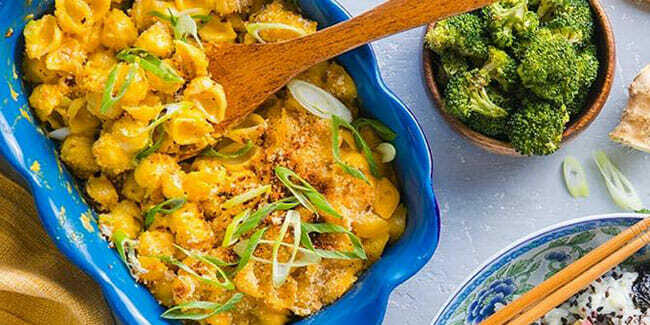 Thus, it comes as no wonder that vegan meal kit services are trying harder than ever to outdo one another, offering even faster and tastier solutions for home cooking. As a special gift to its patrons for the year of 2019, the famous Purple Carrot meal kit service has prepared a new line of meal kits that require you to spend no more than 5 minutes in the kitchen. Let us find out what this interesting novelty is all about. Purple Carrto 5-minute extras require absolutely no cooking so you can just toss them together in no time. In an effort to provide Americans with healthy meal options throughout the day, Purple Carrot has designed extras that complement its selection of dinner items. Namely, these extras come in the form of delicious and nutritious breakfasts and lunches that take fewer than 5 minutes to prepare. They involve no cooking whatsoever and they are so simple you can throw them together while at the office. This is great news for vegans who are struggling to find something good to eat during the workweek, when they are stuck at work all day or simply too busy or tired to spend much time in the kitchen. At the moment, Purple Carrot offers four 5-minute meals per week. However, it may expand its offer soon enough, provided that its patrons show enough interest in its latest meal kit line.